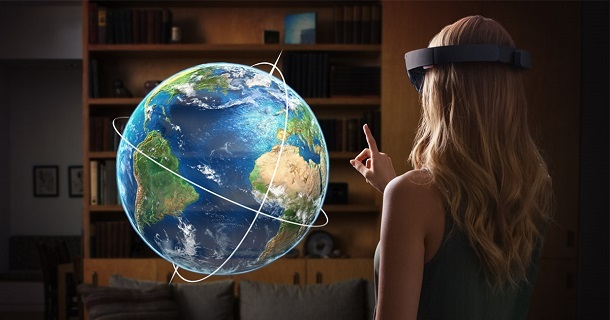 Since the HoloLens was announced at Microsoft’s Windows 10 event two week ago, I have been reading some articles and many enthusiastic discussions about the limitless potential uses for HoloLens. Some are well thought out ideas, some are more of fascinations. People are intrigued by what it could bring the world of business, entertainment, gaming, even daily life. But most of them haven’t gone through careful thinking, in term of market acceptance, technical difficulty, effort to implement, and things as such. I am mainly a software developer, with an engineering background, and some weak business management experience, thought though I could put some of the ideas into my brain for a spin, hope the result can be helpful for readers who are interested. Many ideas are inspired by online discussion. Some of them are my own. I don’t take ownership to any of them. To be sure, this is just a tiny set of what is possible. However, you can go wild starting from this. I give each idea a rank in the following areas: Development Effort, Business Value, Wow Factor, in scale of 1 to 10. Because Windows 10 holographic APIs are not available yet, there are many things unknown, but based on what is already known, it not hard to take a good assumption of what will come. This is the first in a series of “Some Business Ideas with HoloLens”. Read others posts here. IKEA is the first thing come to mind after watching the HoloLens promo video. I have found many people echoed this idea (they were probably thinking about it before I do). The reason for that is: 1. IKEA is not just a retailer, they design, they make and they sell. They probably already have the 3D models of each product they sell. Even they don’t, create them or just scan them using HoloLens wouldn’t be so much more work if they design each piece they sell. 2. IKEA products are mostly straight lined, box-like, which are easy to 3D-model, and require little physics, except for mattresses. In holographic applications, dealing with physics (weight, stiffness, flexibility, elasticity) are usually harder than dealing with geometry. The idea is for IKEA to release an holographic app to Windows Store. The app will contain all IKEA products, organized in categories. People put on their HoloLens at home, fire up Holo-IKEA app. They can choose a product, say, a dresser, then put it anywhere in the room, because the app has the geometric information of both the room and the dresser. User can instantly see if the furniture of choice fits in the space, and if the style and color matches what they already have. Better yet, they can virtually move the real furniture around to fit the virtual one (this requires some coding work, but can be done). And they can do the order from the app. Development effort is relatively low for IKEA, main reason is they design their products they sell. Software side of work is relatively straight forward. It does require the room’s geometry info but just basic API calls as expected. Ordering and transaction processing would be the main work, but if in app payment is possible then the work minimized. No matter IKEA is an pure retailer or not, IKEA is in retail business. As we have seen, retailers are facing competition from online businesses. IKEA is probably in good business right now, but no one can ignore the changes the online business has brought to the retail. I think IKEA should give this idea a serious run through if they believe HoloLens will have any impact on their business. In retail business, IKEA is just an obvious example, many others in the business can certainly come with similar idea. Home Depot comes to mind. What is different with Home Depot is that they sell products made by others, to have all products 3D modeled is simply impossible. Maybe 3D scanning with HoloLens would work, but still, they may have to choose a selected set of products that are easily to deal with holograhically, and have obvious use cases, like tiles, flooring products, etc.